A mystical poem, written in Aramaic by Meir ben Isaac Nehorai, which is in the Ashkenazic usage interpolated after the opening verse of the lesson from the Law on the first day of the Feast of Weeks. It is traditionally associated with two melodies of different dates. The older (A) is a chant, used also for "calling up" the ḥatan Torah (bridegroom of the Law) on the Feast of the Rejoicing of the Law. It is an interesting example of the eighth (hypomixolydian) mode in the medieval, or plain-song, system, which is the tonality of much of the older recitative music of the Synagogue. The other traditional melody (B) for this hymn is of much later origin. 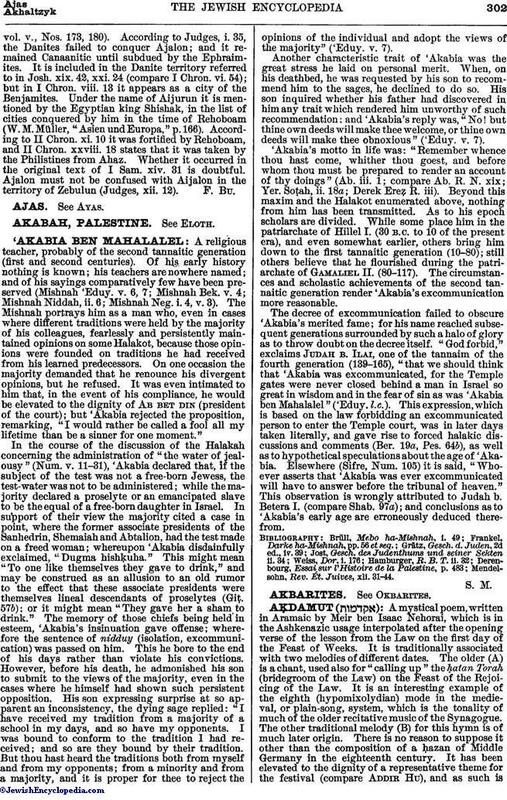 There is no reason to suppose it other than the composition of a ḥazan of Middle Germany in the eighteenth century. It has been elevated to the dignity of a representative theme for the festival (compare Addir Hu), and as such isquoted extensively in the rendering of the Hallel (Ps. cxvi. 16-19, cxvii.). 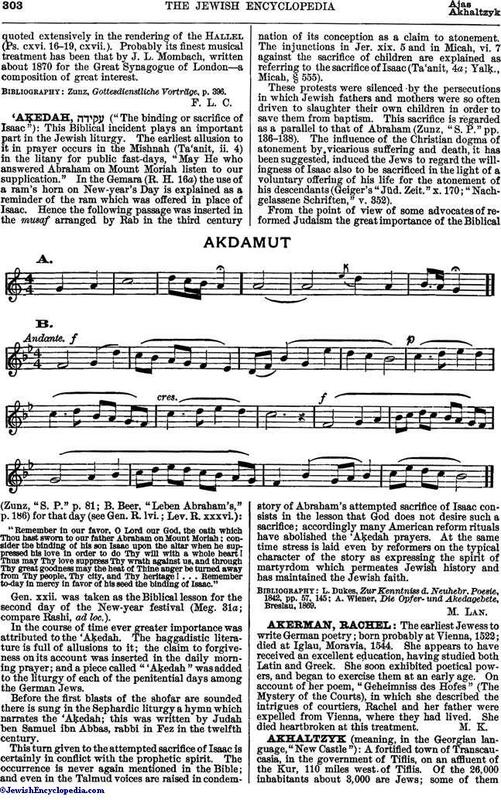 Probably its finest musical treatment has been that by J. L. Mombach, written about 1870 for the Great Synagogue of London—a composition of great interest. Zunz, Gottesdienstliche Vorträge, p. 396.